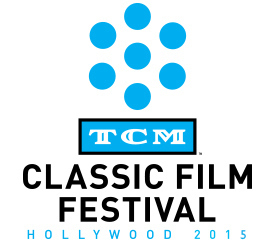 Join TCM hosts Robert Osborne and Ben Mankiewicz and thousands of classic film fans in the heart of Hollywood next March 26th-29th for the 2015 TCM Classic Film Festival! This year’s main theme mirrors the Forgotten Hollywood Book Series and franchise that includes this site, a weekly radio show, and a documentary currently in production, History According to Hollywood, will explore how filmmakers have often created works about the past that are a reflection of the period in which they were made, or change facts to suit a particular storyline. They invite you and movie lovers from around the world to join us to create our own history as we gather in Hollywood for the 6th annual TCM Classic Film Festival next March. ~ APOLLO 13 (1995) – Tom Hanks, Kevin Bacon, Gary Sinise, and Bill Paxton star in director Ron Howard’s extraordinary chronicle of the failed Apollo 13 lunar mission and the efforts to bring the astronauts home safely. 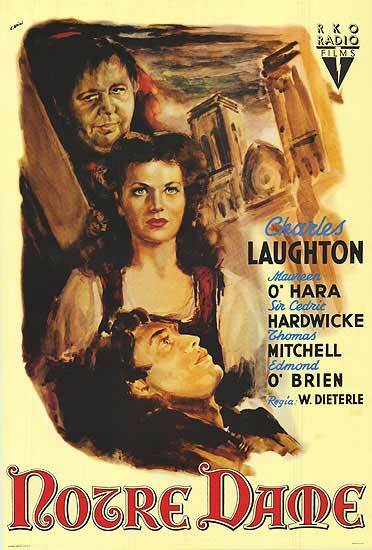 ~ THE HUNCHBACK OF NOTRE DAME (1939) – Charles Laughton plays Victor Hugo’s tragic Quasimodo and Maureen O’Hara stars as Esmeralda in director William Dieterle’s lavish production of the oft-told tale. ~ SPARTACUS (1960) – Kirk Douglas plays the title role, and served as producer on Stanley Kubrick’s engrossing tale, of a slave who became a gladiator and went on to challenge the might of the Roman Empire. 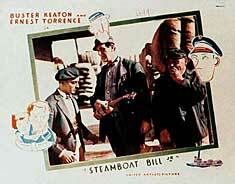 ~ STEAMBOAT BILLJR. (1928) – Presented with composer Carl Davis conducting a live, world premiere performance of his new score. Buster Keaton stars as the son of a paddle-steamer captain in love with the daughter of his father’s business rival in this dazzling silent comedy. Mark your calendar as a limited number of 2015 TCM Classic Film Festival passes will also be available to Citi card members via an exclusive online only presale at https://www.citiprivatepass.com/. This exclusive presale begins at 10a (ET), Tuesday, November 11th and ends at 10a (ET), Thursday, November 13th. Passes for 2015 TCM Classic Film Fest go on sale to the public at http://www.tcm.com/festival at 12p (ET), Thursday, November 13th, 2014! This entry was posted on Monday, November 3rd, 2014 at 5:41 pm	and is filed under Blog by Manny Pacheco. You can follow any comments to this post through the RSS 2.0 feed. Responses are currently closed, but you can trackback from your own site.